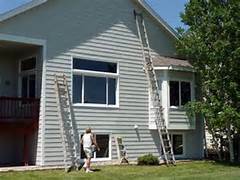 One time a buddy and I removed all the steel siding off the street side of a house, and framed in the windows so they were no longer there. We proceeded to put the siding back on the wall, and we took some of the siding off the back of the house and used that to fill in the spaces where the windows were. Using the additional siding, we put it all back together and when I went to put the last little piece back on up in the peak of the side of the wall, I was amazed that when I locked that little piece in place to the other piece of siding, the exact same nail hole in the siding lined up to the nail hole on the wall. “Wow!” I thought, “Impossible! What are the chances of that happening like that!” But, it did. The apostle Paul had a mission in life to preach the gospel to every creature. In the midst of a storm, an angel of God gave him specific instructions that he was to be brought before Caesar and that “God hath given thee all them that sail with thee” (Acts 27:24). The storm, probably more like a cyclone, continued and worsened for days and days. They threw everything overboard to lighten the ship, but still ended up shipwrecked on the rocks, but there was no loss of life. The island they crashed into was inhabited by a “barbarous people”, but they showed them kindness. Paul was gathering sticks to keep the fire going to dry everybody out and a venomous snake came out of the heat and bit Paul. Then he was assumed to be a murderer on whom “vengeance” was executing its justice (Acts 28:4). When Paul shook the beast off into the fire with no harm done to him, they decided he must be a “god” (vs.6). Through it all Paul prayed for some sick people and God supernaturally healed them and revival broke out on the island changing people’s lives, and, Paul made his journey on to Caesar just like he was told. Sometimes we go through great changes with everything stripped off with no possibility of everything ever being “in place” again. We go from a storm to a shipwreck, to a snake. But if we keep our eyes on his word and our heart in his hands, he will bring us through to a wealthy place. What seems impossible with man is possible with God. Jesus gave his life so that we could walk with God. Through it all, with him, we can be victorious, reach our destiny and accomplish our mission in life.